The kitchen is often regarded as the heart of the home, meaning it is really important that it’s a room you are proud to show off. Whether it’s cooking a Sunday roast for your family or enjoying some wine on a Friday with your friends, the kitchen is social hub filled with love. 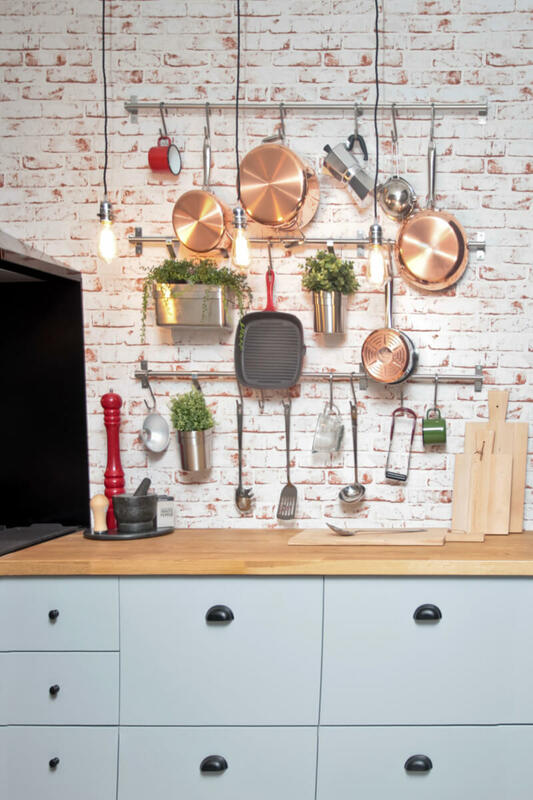 So, if you are starting to feel less than enthusiastic about cooking or are looking to spruce it up before you sell your house, follow our top tips to upgrade your kitchen without forking out a huge sum of money. With the recent trend of interior fashion leaning towards kitsch country or minimalist and monochrome, there is little room for bright, garish tiles. 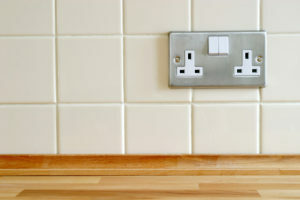 Whilst replacing all the tiling in your kitchen is very expensive, painting them is relatively cheap and easy to do. Use a neutral cream if you are looking for a country look or be bold with a dark grey if bachelor pad is more your thing and give your tiles that all important facelift that they deserve. 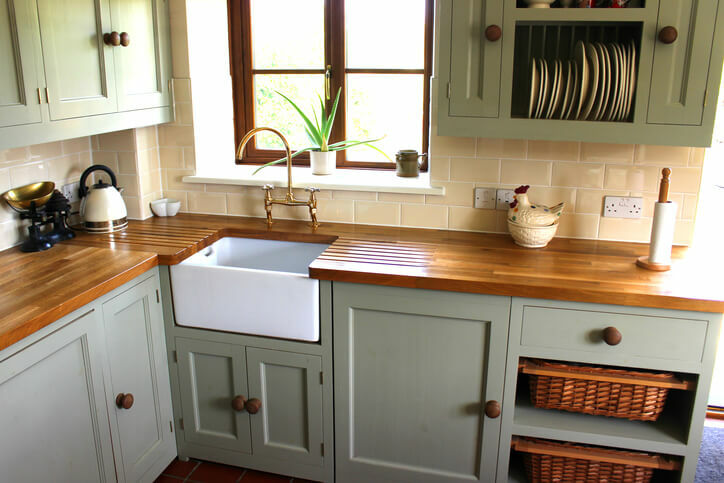 Kitchen cabinets are by far the most expensive outlay when redoing your kitchen but there is nothing that a bit of cabinet paint can’t do to make your kitchen look like it has had a complete refit. Did you know that there are many types of paint specifically formulated to revamp your existing doors without much prep? From normal paint for a rustic look to spray paint to get a more even finish, there’s a paint out there which is perfect for your cupboards. 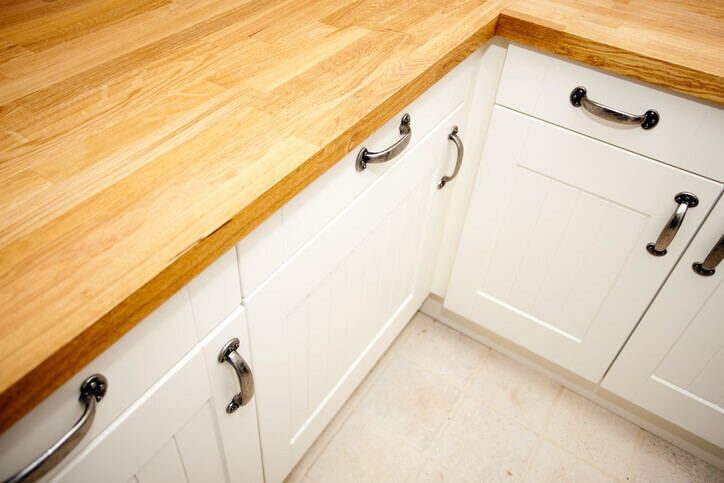 Change your handles: Whilst painting your cabinets will do most of the work to modernise your kitchen whether you just want a facelift or are looking to sell your house, new handles finish it off and are surprisingly cheap! Local hardware stores tend to do a huge array of designs, perfect for whatever style you are going for. Upgrade your flooring: The next big thing in a kitchen is the flooring. 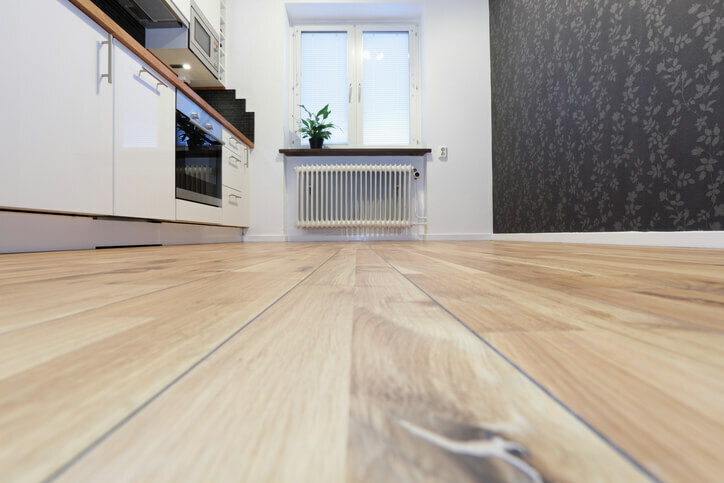 Everyone yearns for beautifully tiled or wooden floors, but these are just a huge expense and something that is unlikely to increase the value of your home by much if you are looking to sell. Instead, consider using a lino; it’s cheap, easy to lay meaning minimal labour costs and there are now some beautiful options out there that look almost as good as the real thing! Feature lighting: If you have an island and are looking to make more of a feature out of it, why not introduce some feature lighting. Multi-level pendant lights are particularly popular at the moment, as are metal down lighters. 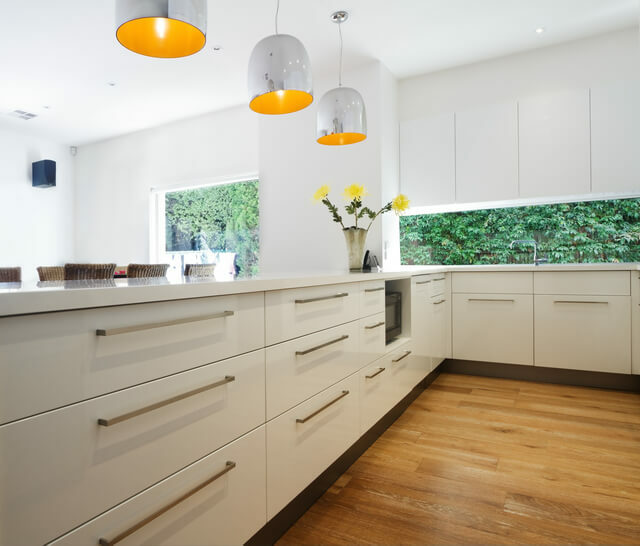 Whilst more expensive than your regular lampshade, feature lighting can give your kitchen the wow factor which will impress potential buyers. Oh, and don’t forget, if you are moving house you can take them with you to your new place! Finally, accessorise! : Nice bowls, herb planters, patterned mugs and funky tea towels are small things but finish off your kitchen giving it its own personality and style. There are plenty of shops out there offering kitchen goods at really low prices, so there is no excuse! If you fancy some really quirky additions, check out these 6 amazing kitchen gadgets you may never have heard of! If you are looking to sell, but the above still seems too expensive (or too much hard work! ), get in touch with us by clicking ‘get an offer’ at the top of the page! As a property buying company we will buy your house as seen, meaning that you don’t need to put yourself under any stress or carry out time-consuming DIY just to sell your home fast.